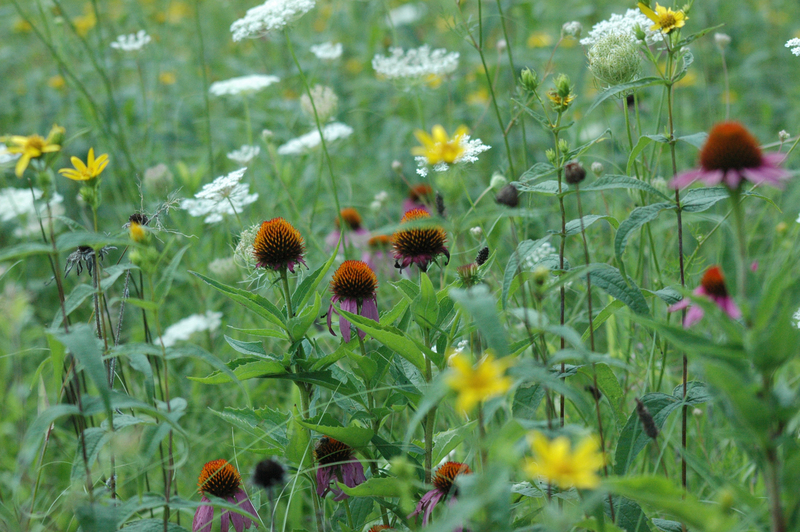 Prairie fens are found in the glaciated regions of the upper Midwest: predominantly in Indiana, Michigan, Ohio, Illinois, Minnesota, Wisconsin, and southern Ontario, Canada. In Indiana, though a rare landscape type, fens are more common in the lakes region of Steuben, LaGrange, Noble, and Kosciusko Counties. Under these conditions, a lush, diverse collection of prairie plant species thrive and accumulate peat…even in summers of drought. Prairie fens are habitat for many of the Midwest’s rarest plants and animals: These mineral-rich, yet nutrient-poor peatlands are home to poisonous things like Poison Sumac and the federally-endangered Eastern Massasauga Rattlesnakes, as well as demure species such as the ubiquitous Tussuck Sedge, Blue-Joint Grass, Prairie Cord Grass and the beautiful Small White Lady’s Slipper Orchid. Marsh Blazing Star, Shrubby Cinquefoil, and the federally-endangered Mitchell’s Satyr Butterfly also call fens home. 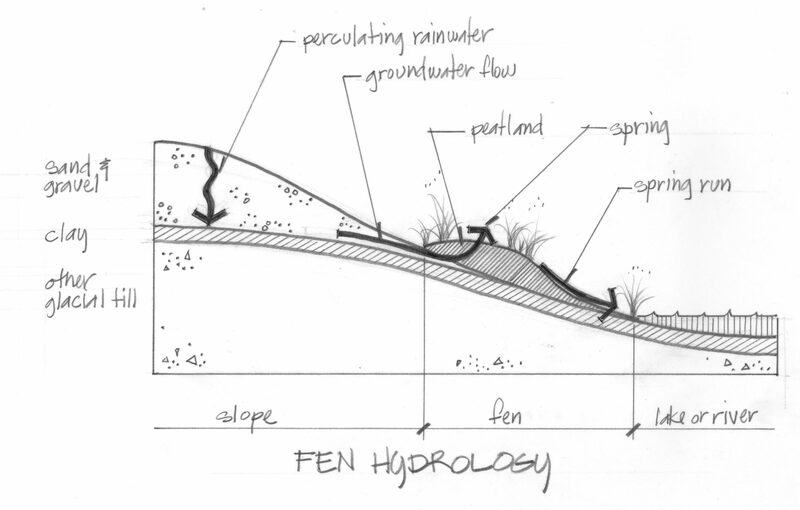 The hydrology of a fen system is complex. Sketch by Nate Simons. 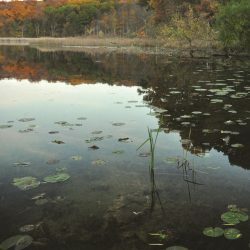 ACRES Land Trust members protect dozens of fens: A fen is located on the north shore of Little Gentian Lake at Wing Haven. 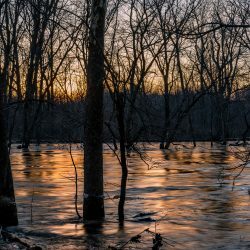 The Wetland Loop Trail at Beechwood Nature Preserve meanders through a little fen where brush has been managed, and fire has been returned to the landscape. Sauga Swamp Nature Preserve, a closed preserve, in Noble County, Kokiwanee in Wabash County, the newly-acquired Lee Family erfect Lake Nature Preserve in Steuben County and the Walter H. and E. Marie Myers Nature Preserve on Flowers Creek in Miami County (the latter two are closed preserves) have good examples of fens. Lots of sunlight, an accumulation of peaty soil, mineral-rich groundwater flowing to adjacent rivers and lakes, a rich diversity of native grasses, sedges, and wildflowers make ACRES’ springy places absolute wonders and reminders of original creation…a pleasure to visit and a pleasure to protect. 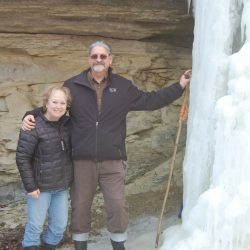 Will you explore the fens that ACRES members help protect this summer?